Oh, do I have a treat for you today! 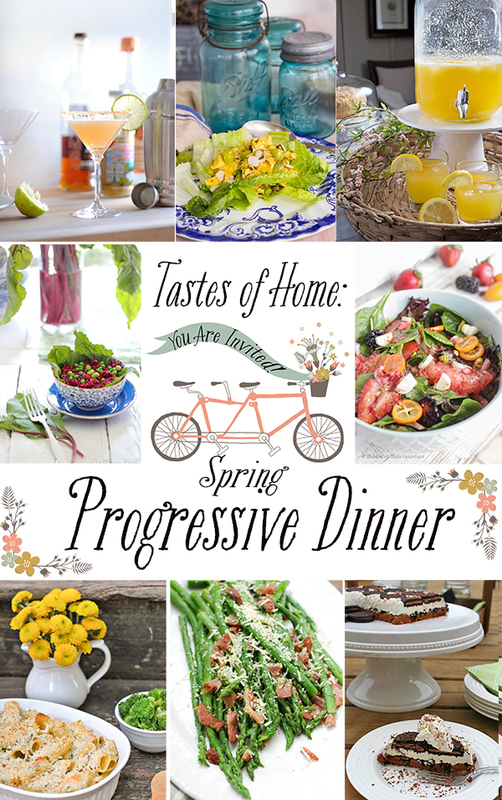 I’ve teamed up with some of my fellow home/food bloggers to bring you the Tastes of Home spring progressive dinner! What does this mean exactly? Below you’ll find links to all the courses – drinks, appetizer, salads, entrée, side dish, and dessert. Follow the links for a full, delicious, and springy meal! 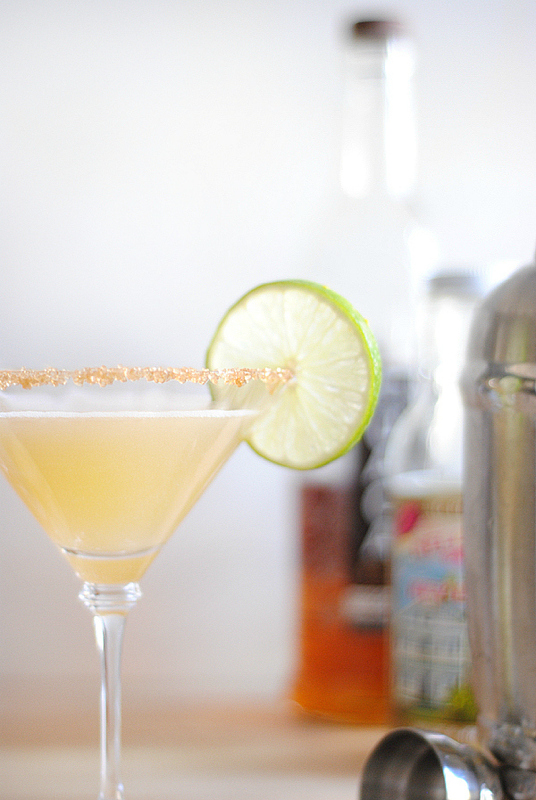 I’m starting things off with something a little boozy – a super tasty key lime martini. It includes one of my favorite drink ingredients – Tuaca, a vanilla citrus liquor. Scott and I did a little taste testing this past weekend, and I have to say, for such a simple drink to put together, this tastes amazing and looks just beautiful. 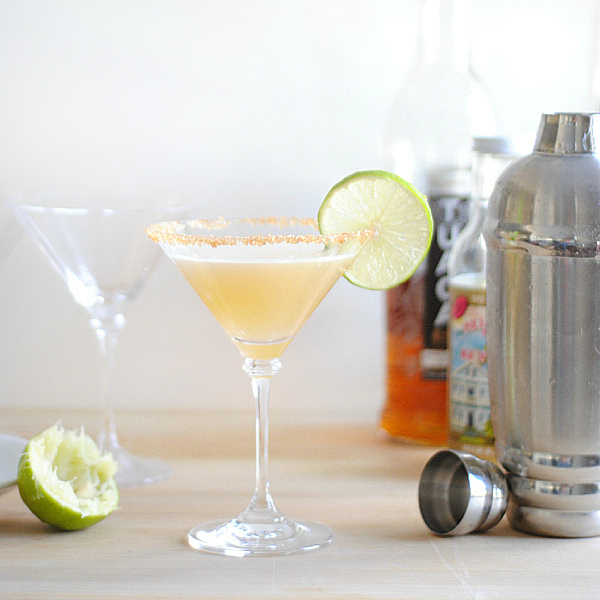 I’m a big fan of sweet/sour cocktails – margaritas, sidecars, etc. This martini has that combo going and it was love at first taste for me. A little tart but not too tart, a little sweet but not too sweet, Just perfect. 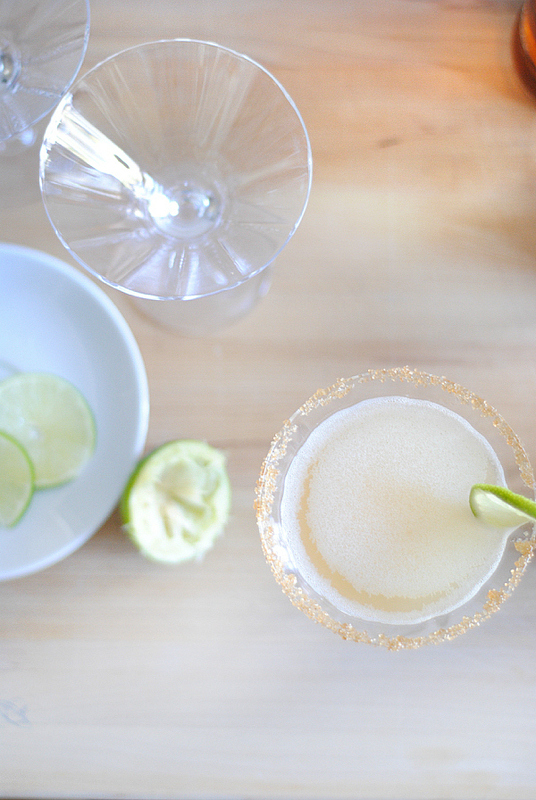 To garnish the glasses, dip the rims first in lime juice and then the raw sugar. I use shallow plates for the dipping process. Measure the vodka, Tuaca, key lime juice, and simple sugar into a cocktail shaker. I like to pour everything into a measuring cup first to get my proportions right and then pour into the cocktail shaker. Fill the shaker with ice and shake vigorously for at least 30 seconds. Pour into garnished glasses and serve immediately. The garnish isn’t necessary but it looks pretty and we loved the little crunch of the sugar. We’ve also tried this over ice and it’s great that way too! 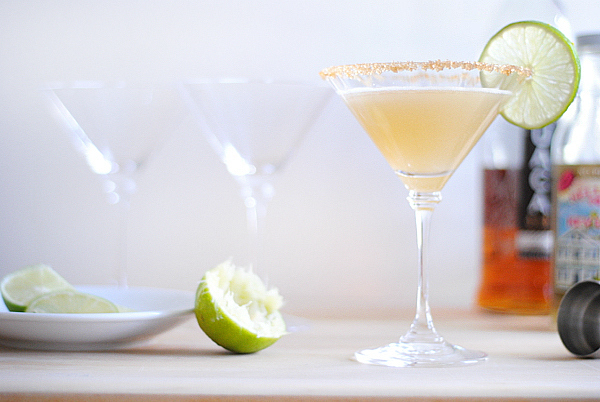 There’s just something extra special about a drink in a graceful martini glass with sparkling golden sugar around the rim. So after you enjoy your cocktail, make sure you keep on with the progressive dinner! So much deliciousness! I wish I could actually be enjoying all of these tasty dishes right now. Hope you enjoy the dinner! Thanks for joining us today!